In its earliest days, Manhattan Beach was part of the original Spanish land grant for "Rancho Sausal Redondo" ("Ranch of the Round Clump of Willows") in 1822, a rancho with a land mass of nearly 25,000 acres which extended from the areas as far north of what is now Playa del Rey, as far east as Inglewood, and as far south as Hermosa Beach. ( See the History of the South Bay for a discussion of the early Spanish land grant Ranchos ), At one time the area was called "Shore Acres" by George Peck, who owned a section of the north end of town. Manhattan Beach is built on sand. Planks were laid in the sand on Manhattan Avenue for vehicles and along the Strand and side streets for pedestrians. In the early days, old timers speak of walkways disappearing, small structures sliding and the sting of the sand. The dunes were a major problem. Some were 50 feet to 70 feet high. Leveling them off was difficult. 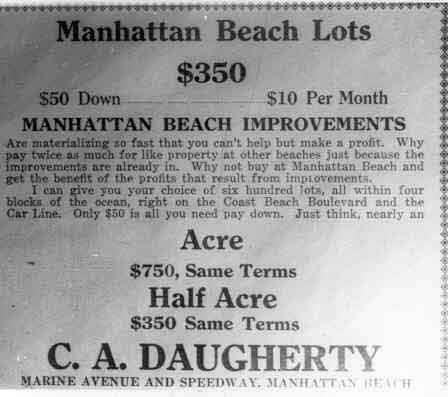 A story told by Marshall Kuhn, a local businessman, to a newspaper reporter some forty years ago says that in the late 1920s, developers from Hawaii made a deal with the Kuhn Brothers Construction Company to supply Waikiki Beach with Manhattan Beach sand. The sand was loaded onto the Santa Fe Railroad cars and transported to the harbor in San Pedro and then onto ships or barges. This continued for almost ten years. This story has never been able to be verified however by the local historical society..Manhattan Beach today is by no means flat. Sand dunes are particularly obvious in the north end of Manhattan Beach where Sand Dune Park is located. 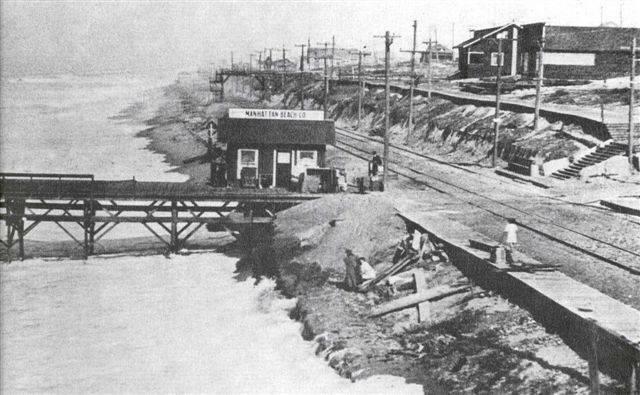 In 1888, the Santa Fe Railroad laid tracks from Los Angeles to the Redondo Beach wharf, passing through what is now Manhattan Beach. Redondo´s deepwater canyon became a port for shipping goods and passengers and a destination for a fun day at the seaside. Santa Fe terminated their passenger service in 1918 because it could not compete with the Red Car (Pacific Electric) passenger rates. In 1903, the Pacific Railway Company which merged with the Pacific Electric in 1910, installed a track along the oceanfront extending from Los Angeles to Santa Monica and then south to Redondo Beach passing through Manhattan. 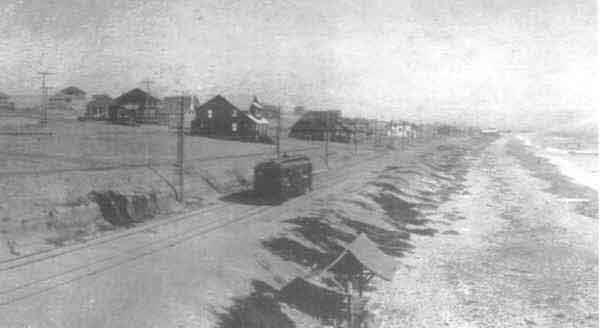 The tracks were just west of The Strand is where the bicycle path is today. The Red Cars would run on this line until 1940. Developers were plentiful and several of the larger developers such as George Peck, who owned the northern section of the area including north of Rosecrans, John Merrill, who was laying out the southern section which was between First Street and Center Street and just west of the Santa Fe tracks to The Strand, and Frank Daugherty, who had 20 acres from Marine Avenue to 15th Street and east of Highland Avenue to the railroad tracks, agreed that only one name should be given to the area. George Peck was calling his area Shore Acres after a Santa Fe junction sign. John Merrill called his development Manhattan Beach. According to Frank Daugherty, a half dollar coin was flipped and "Manhattan Beach" won. It is believed that this occurred in 1902 because the Santa Fe Railroad stop was named Manhattan Beach beginning in late 1903.The first downtown building was built by Merrill around 1901, a small frame building later used for city offices. Most of the early buildings were beach cottages. Families would come from Pasadena and Los Angeles on the trolley or Santa Fe train and a real estate agent would greet them as they stepped off. Some liked what they saw and bought property. Manhattan Beach was promoted as a place to vacation, a summer resort. A few stayed year round but most stayed only for a weekend or a summer. It was hard to count the full time residents but by the time of incorporation on December 7, 1912, there were approximately 600 permanent residents. 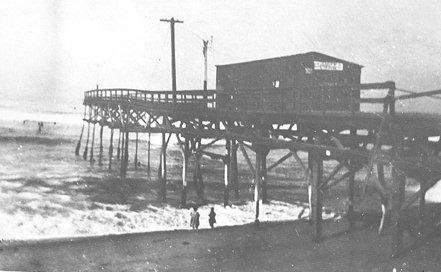 Among the first structures built in Manhattan Beach were two wooden piers built in 1901, one at Center Street (later renamed Manhattan Beach Boulevard) and one at Marine Avenue called Peck's Pier and Pavilion. The Center street pier was believed to have been 900-feet long. Pylons were made by fastening three railroad rails together and driving them into the ocean floor. A narrow wooden deck was supported by these pilings. A wave machine was installed at the foot of the pier in order to generate electricity for the lighting system on the Strand but the plan did not work. The "old iron pier" as it was called, was destroyed by a major storm in 1913. Storms and time were not kind to the pier and repairs were made but the appearance changed. In 1991, a decision to restore it back to its 1920s appearance was made. The Roundhouse was completely rebuilt and is now occupied by theRoundhouse Marine Studies Lab . After World War II a large influx of people came as a result of the desirability of the area for year-round living. Servicemen visiting during the war returned to live here. 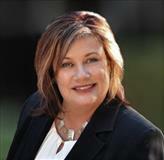 The development of the defense industry brought many people to the South Bay to reside and work. Much of the land east of Sepulveda was developed to house the influx of people.